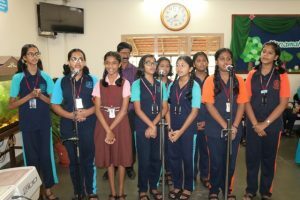 Lourdes Central School celebrated Vanamahotsava on 7th July 2017. 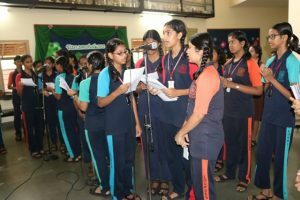 The celebration began with the universal prayer followed by a prayer song. The thought for the day was ‘a tree can make thousand matches but a match can burn thousand trees’. It inspires us to concentrates on what we can contribute to the nature than destroying it. 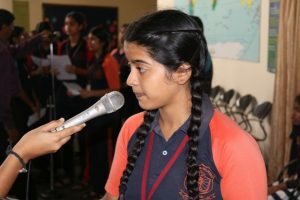 Pramitha D’souza briefed the assembly about the importance of Vanamahotsava. 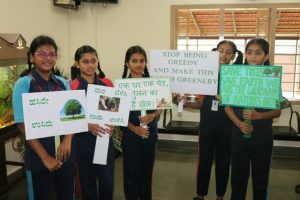 She highlighted on conserving forest and planting trees. 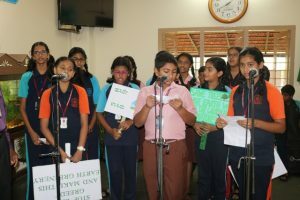 The students presented slogans in English, Hindi and Kannada saying, ‘stop being greedy and make this earth green’, ‘save tress and save earth, we are the guardians of nature’s birth’. The principal Rev. Fr. 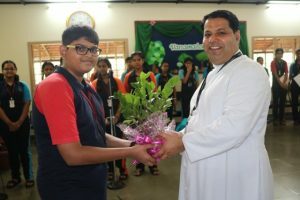 Robert D’Souza and vice principal Belita Mascarenhas planted saplings as an expression of love and concern for the nature. 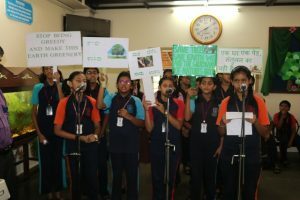 The principal in his address stated quoting, ‘ we have abused land because we see it as a commodity belonging to us; when we see land as a community to which we belong, we will begin to use it with love and respect. 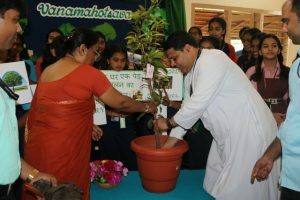 He said ‘let us allow the children to love the earth before we ask them to save it’. 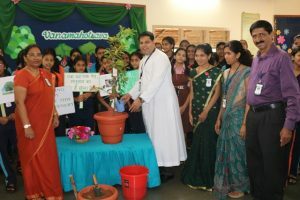 He exhorted the students to plant at least one sapling and protect the greenery. 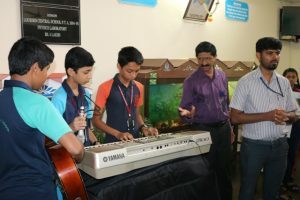 He appreciated and congratulated the organizers and all the participants for their active involvement and for enlightening the student on Vanamahotsava through words and songs.